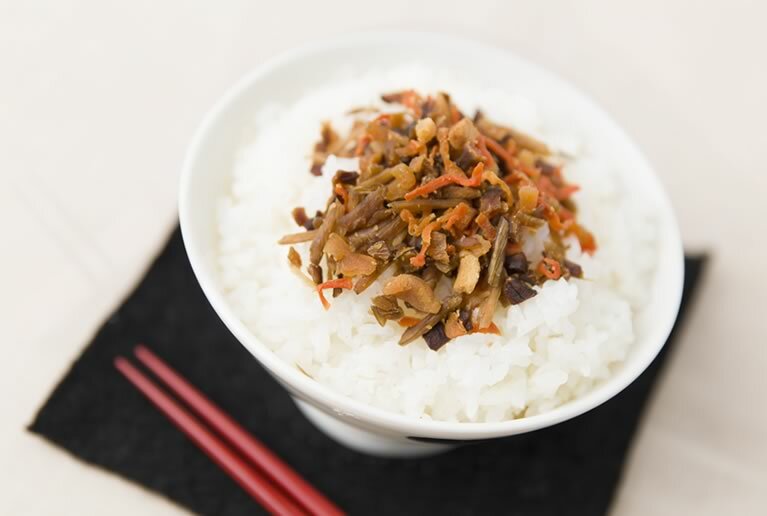 Colorful furikake with various vivid vegetables. 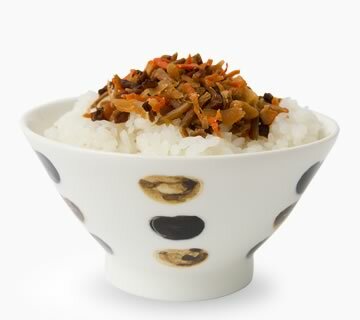 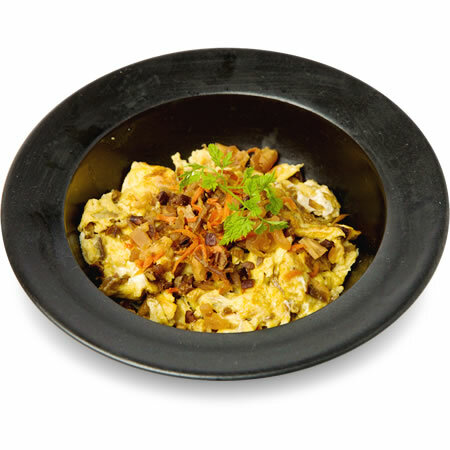 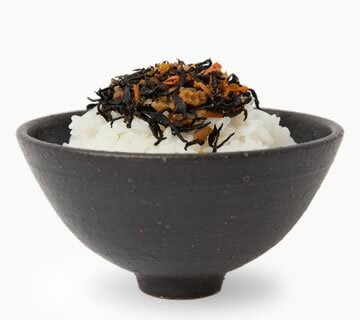 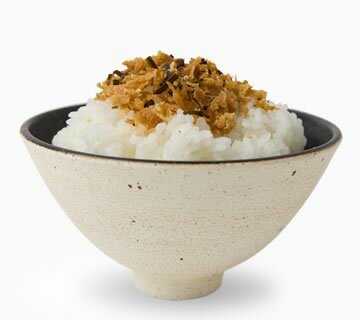 Burdock, shiitake mushrooms, Freeze-Dried Tofu, carrots, and kanpyo (dried gourd shavings). 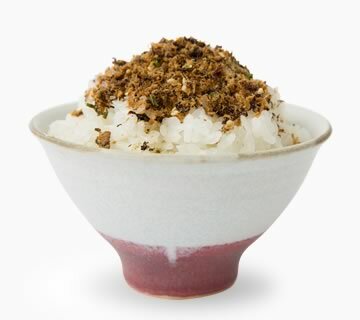 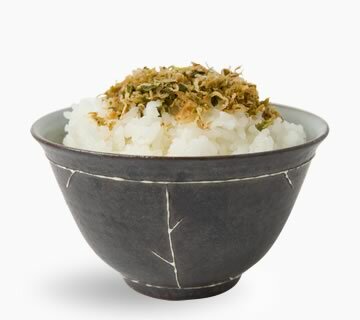 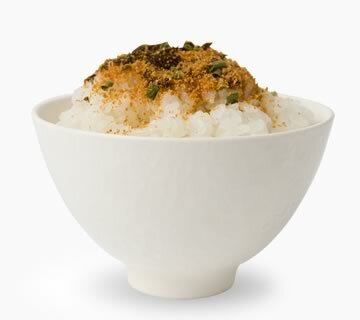 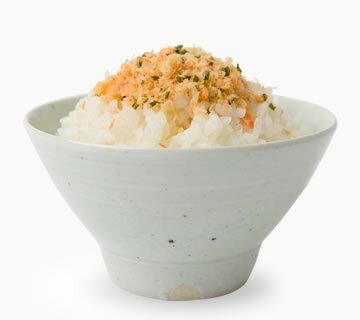 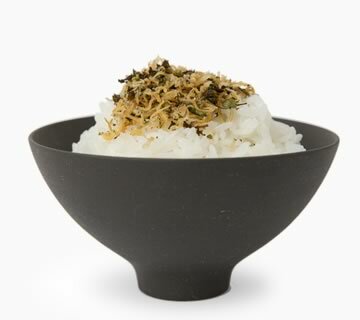 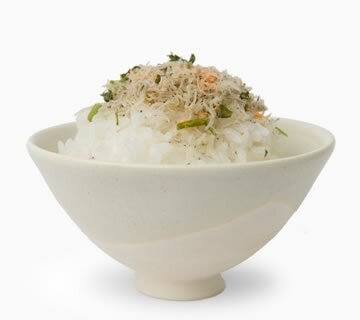 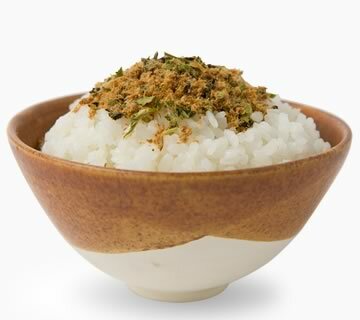 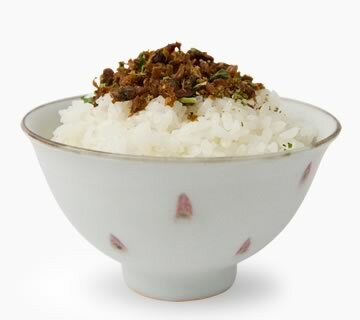 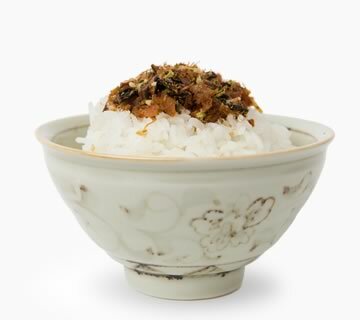 This furikake brings out the best of each ingredients both in flavor and in texture. 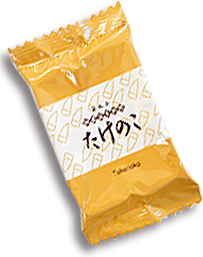 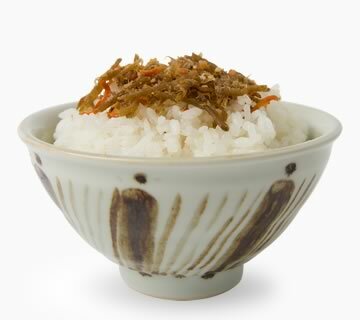 Boiled with Tamaki-ya original soy sauce, sugar, and hon-mirin, it has elegant, somewhat sweet taste. 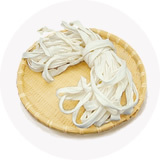 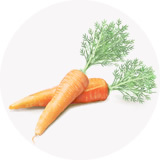 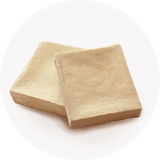 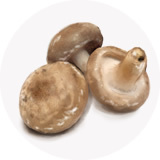 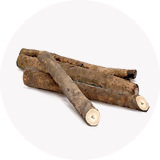 Ingredients are cut in large size, and are rich in nutrition and are pleasant to the eye. 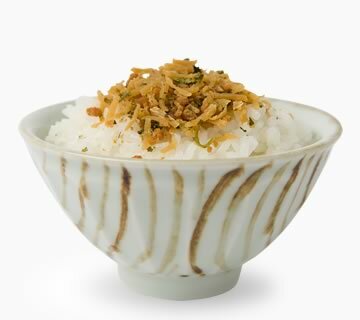 it's a perfect breakfast buddy. 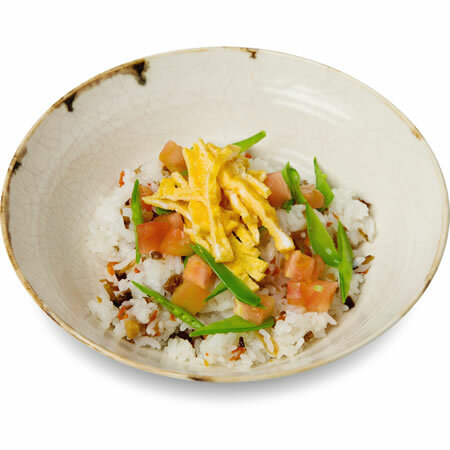 a magical colorful effect on your dish.